A Helicopter Safety Program was offered to MGSAR volunteers by the Royal Canadian Mounted Police. Volunteers may have to travel to search sites by means of helicopter and boarding/ disembarking procedures are very important to learn beforehand. 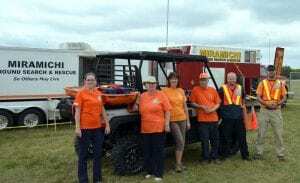 The Miramichi Ground Search and Rescue team (MGSAR) is a group of approximately 30 volunteers who are on call 24/7/365 to respond to calls for lost or missing persons. They cover a large area from Boiestown to Neguac and Mount Carleton Provincial Park to Richibucto. It is one of the larger search areas in the province. MGSAR respond to lost or missing person incidents in the Miramichi area and also assist in other searches across the province. Since the end of May 2015 the team has been involved in seven searches: North Renous Lake (drown subject located after 11 days), Pointe Aux Carr where subject was located after a night in the woods, Bear Island where subject was located alive after six days in the woods, Charlo where the drown victim was located, Heath Steel where a missing female was located after 13 hours, Mill Stream and Blackville searches where the subjects were located by police/ family before the MGSAR sent search teams into the woods. MGSAR Volunteers displaying their truck and Mobile Command Post at a community event. 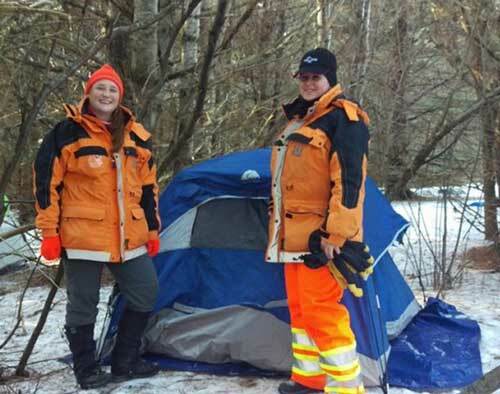 MGSAR provides volunteers with free training in orienteering, survival, tracking, first aid, and CPR so they are equipped to deal with emergency medical situations in remote areas, situations often encountered during searches for lost and missing persons. From November 4th-6th, 13 members of the MGSAR team participated in the New Brunswick GSAR Workshop held in Oromocto. Some of the topics covered in the training were: Drones, Anthropology, Utilizing SAR Dog Teams at Searches, Lost Person Behaviour, Tracking, GPS Training and Searching from Aircraft. Member John Glidden says the most exciting and challenging training he received so far with MGSAR was the Wilderness Remote First Aid (WFRA) Program. “The training put volunteers in every simulated medical emergency imaginable that one might come across in the field. This took place over an entire weekend and included camping outdoors, which was a challenge in February,” John says. Members spend a great deal of their time raising funds. It is expensive running a team as there are maintenance costs for their Rescue truck/ Mobile Command Post, team training and travel costs, insurance for the vehicles/ team equipment/ members, and the cost of maintaining a base. The only other financial support they receive is $2500 each year from the provincial association that supports 10 other groups in New Brunswick. The City of Miramichi has been very supportive of the local team by making the former Fire Department Training Centre in Morrison Cove available where a lot of training is done in the wooded area and trails. Unable to afford the cost of heating the classroom in winter, they were looking for meeting space when Miramichi Timber Frames stepped forward and provided a 6000 square foot heated space, the former Chatham Base Fire Station. This location meets the needs of the team and has office, classroom, meeting and storage space as well as a large garage for the Team Rescue truck and Mobile Command post. The surrounding parking lot, green space, pond, dam and trails are ideal for GSAR training purposes. 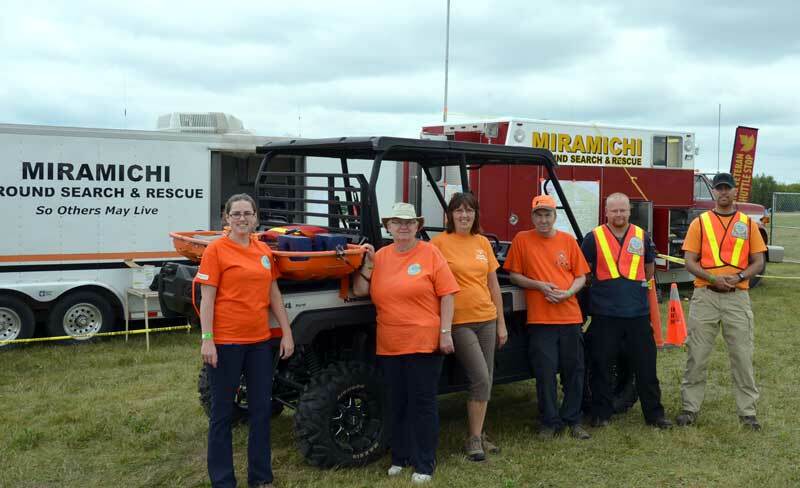 An exciting new project is underway for Miramichi Ground Search and Rescue. They are working on establishing a Ground Search and Rescue Centre to provide training for the 10 teams in the province. 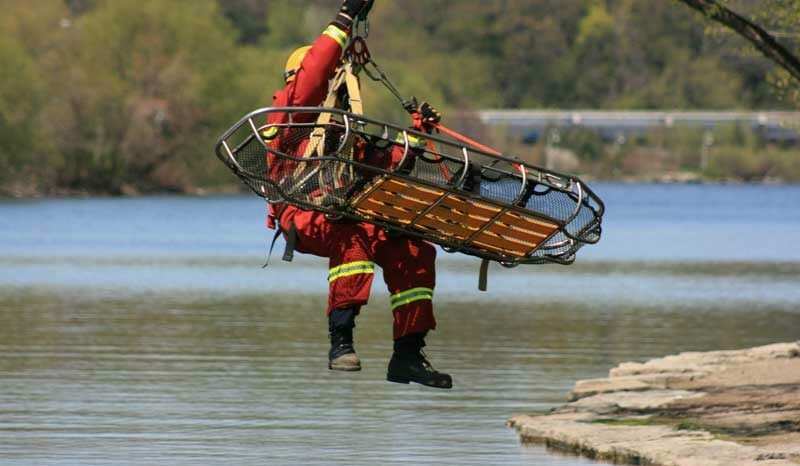 They hope to establish this over the next year and a half and have submitted a funding proposal to Ottawa’s New Initiative Fund (NIF) with the National Search and Rescue Secretariat (NSS). The request for funding is for a three year training project (2017-2020) which will be province-wide in scope but managed by MGSAR. 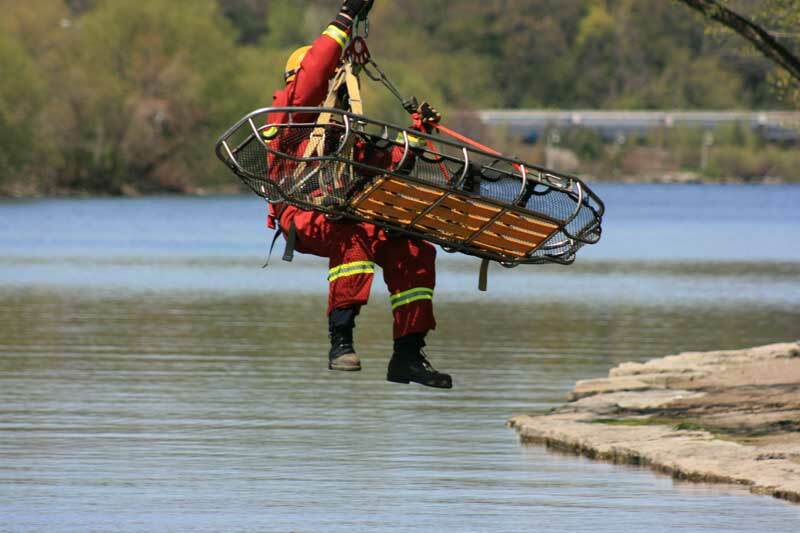 The requested funding will be for search and rescue equipment for MGSAR, 69 training courses and six training exercises for all 10 Ground Search and Rescue Teams and search partners in the province. Should the funding application be successful it would result in most of the training being completed in the Miramichi area during the three years of the project. Volunteers preparing to stay the night in the woods during the Wilderness Remote First Aid Program. Members are wanted from all the communities within the search area of responsibility. Applicants must be 18 years of age and also provide a Police Clearance certificate. Members are needed with a wide range of skills and interests: hiking, camping, First Aid, map and compass/ GPS, radio operators, truck drivers, instructors, fundraisers, webmasters, canoe/ kayak, anyone interested in volunteering and assisting people in need. To join visit their website at www.mgsar.ca. John Glidden is very happy with his decision to become a volunteer with MGSAR. If you are interested in learning more about MGSAR, the next information session will be on Wednesday November 23rd, 6-7 pm at 71 Thorneycroft (former Chatham Base Fire Station). Donations are always welcome and the team can really “stretch a dollar”. Corporate sponsors will have their logo displayed on a large sign at their Training Centre and also on their Command Post trailer, website and during media releases. Donations to the team can be made to the above address. Should you require further information you can contact either MGSAR President Flora Ross at 773-7946, email joeandflo@hotmail.ca or Jerry Mckenna at 424-1864, email jerry.g.mckenna@hotmail.com. Valerie Morrison liked this on Facebook. Megan Ross liked this on Facebook. Leroy Stoyles liked this on Facebook. Amy Mc Kenna liked this on Facebook. Miramichi Ground Search and Rescue liked this on Facebook. Face Painting by Amy liked this on Facebook. Great article about Miramichi Ground Search and Rescue! Peggy Sturgeon Avard liked this on Facebook. Bernice Price liked this on Facebook.